There are many reasons to visit Geneva in winter/spring, when a dusting of snow can make the place look like something out of a fairytale or off the front of a chocolate box. Views across the snowy Alps make braving the lower temperatures worthwhile, and you can always warm yourself up after any sojourn with a well deserved fondue. Certainly all of Geneva’s usual attractions are equally appealing during these seasons — losing yourself among the narrow streets of the Old Town, indulging in some world-class shopping, viewing the Jet d’Eau or exploring a museum or gallery — but there are certain activities which are actually enhanced by Winter’s embrace. Just picture taking the Saleve cable car, with its stunning view of Mont Blanc, wrapped in a thick shroud of snow. And if you are a fan of winter sports, then you certainly wouldn’t consider visiting Geneva at any other time of year. For it is during the winter and early spring that the ski resorts of this region come into full swing with reliably excellent conditions, good coverings of snow and crisp, clear mornings to enjoy. Geneva is one of the best bases into which to fly in order to access resorts in Switzerland as well as in France and Italy. It is just a short transfer away from a whole host of first-class places in which to indulge your passion for all things ski and winter sports. Geneva City has much to offer besides great lake and mountain scenery. You can also enjoy some great food while your eyes feast on all those landscapes. Whatever your budget, there will be somewhere in Geneva where you will find superb food and a hearty welcome. For those who are working to a tight budget, such as students, Taverne de la Madeleine at 20 rue Toutes-Âmes is a good choice of venue. Basically a lunch only canteen, it nevertheless serves up great plates of hearty, warming food for an equally heart warming price. 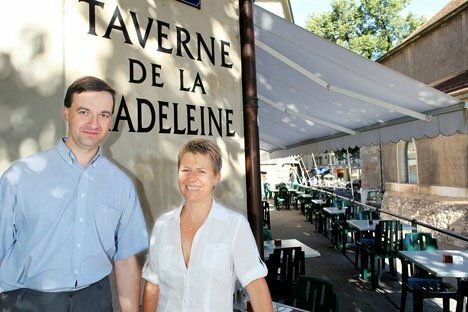 Diners can also see the 15th century Temple de la Madeleine from this restaurant, which enjoys a terrace setting. At the other end of the budgetary scale is Le Lion d’Or, which enjoys a glamorous setting in the village of Cologny. This upmarket part of Geneva enjoys great views of the Jura Mountains as well as the Lake. Both can be seen from the windows of this restaurant, which offers seasonal cuisine with a slight Asian influence. Another upmarket venue with a much stronger Asian accent is Le Tse Fung. This expensive Chinese restaurant is situated at La Reserve, 301 Route de Lausanne, in the Bellevue part of the city. There is a good range of east Asian cuisine on offer, from Mongolian style beef to dim sum. Geneva City sparkles when the sun goes down. Geneva might be better known as a the gateway to the Swiss and French Alps, but it is a bustling, diverse city in its own right. 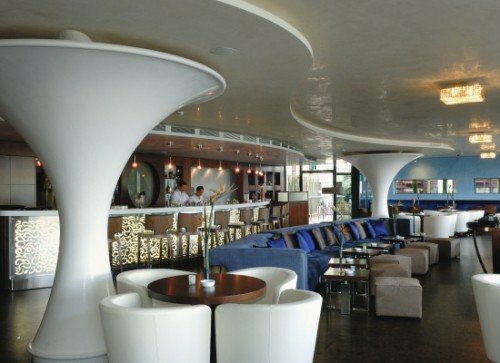 This means that there is plenty to keep visitors busy when it comes to the kind of nightlife which is on offer. The idea of the straight-laced Swiss comes well and truly apart when you spend a little bit of time exploring Geneva City after dark. One thing which might strike first time visitors to the city is the way in which different sections of society mix and mingle. Smart suited business types, patrician elders, students and workers mix in night spots in the city with great tolerance. This makes for a nice and polite atmosphere, but sometimes it lacks a little bit of the kind of edginess which can make for a really great night out. The Geneva Tourist Office can actually provide some excellent information about where the city’s best nightspots are, and there is also an excellent guidebook available from them called Genève Le Guide. This provides the latest nightlife listings, and can be relied upon to provide the kind of local detail that you need to find out where the best parties are taking place. Geneva is one of Europe’s major tourist hubs, offering superb lakeside views, massive majestic mountains and superb skiing. All of this is within easy reach of one of Europe’s busiest airports, which actually spans two countries. With some of France’s finest ski resorts and mountain hang-outs also easily accessible from the city, it is worth seeing what Geneva can offer. 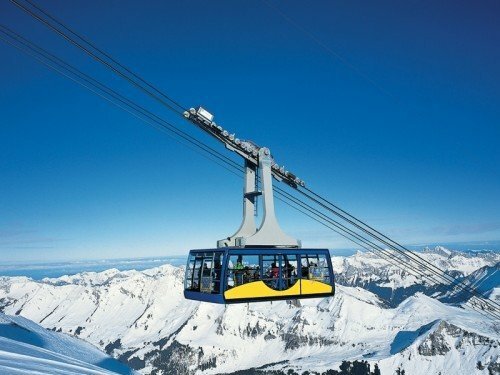 There is plenty going on in the French-speaking part of Switzerland without the skiing and leisure opportunities that the Alps offer anyway. The cultural and arts scene in the city buzzes throughout the last few months of the year, while Christmas in this picturesque part of the world is picture postcard magical. Visitors to Geneva in September can busy themselves with the Nuits des Bains, an art festival centred on the city’s Rue des Bains. Many galleries have late openings, and much of the art on show is from local artists. Some of those events will doubtless be accompanied by a few glasses of local wine, and anyone who enjoys what they find in their glass can explore it further at the Fête des Vendanges Russin. 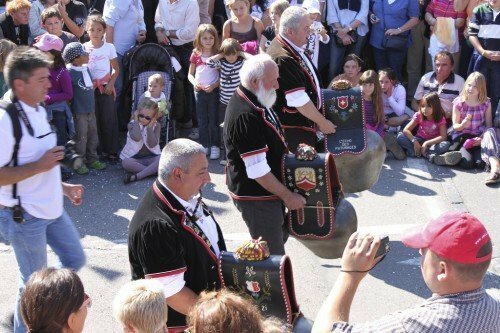 This festival occurs in the village of Russin, very close to Geneva, and first took place in the early 1960s. The local wine is available to sample, along with much local food, all among a carnival atmosphere. Must, a drink made from the first pressing of the grapes, is a highlight of this mid-September event too.